Meeting characters is a highlight of any Walt Disney World vacation - for both the young and the young at heart! 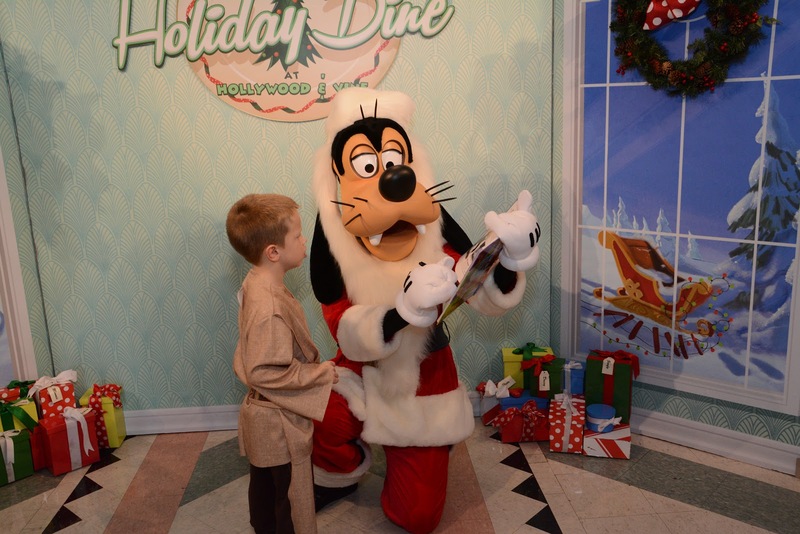 Photos are a great way to capture those memories and many people enjoy collecting autographs from their favorite characters to also bring home a piece of the magic. Below are a few different options for recording those signatures. 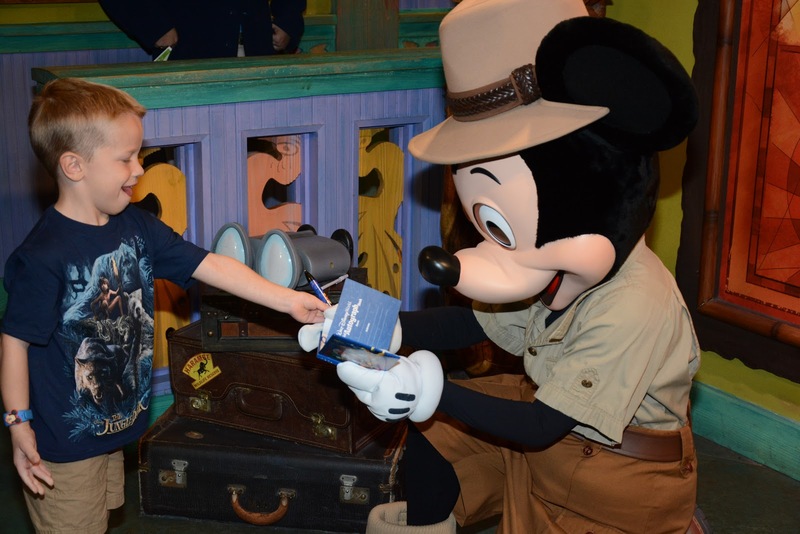 Disney Autograph Books - On site and online, Disney sells autograph books for visitors to use. The books range from a simple book of blank pages for characters to sign to larger books that hold pictures from your trip alongside the autographs you collect. On a plus side, these books are readily available and easy to carry being small on size. Brody keeps his old autograph books in his closet and occasionally will go back to look at them. Books start at just $7.95 so if you are in a pinch in the parks, it's not an overly expensive option. Disney Junior Encyclopedia of Animated Characters (or another character book) - This is my new favorite option! We bought this book from Amazon for less than $10 prior to our trip. It's a nice hardcover book that features some of Disney's most beloved animated characters. Each page has a picture and a brief description of each character. The idea is that when you meet each one, they sign their page. This is a nice book to keep on a shelf and revisit time and time again when you return from your trip. I also enjoy that we can bring it back on each vacation and try to collect more and more signatures. On the downside, it is larger than the Disney Autograph books in the parks and not every character is in the book. We were easily able though to work around both of these minor concerns. With our little ones, we still carry a backpack in the park so carrying the book wasn't a problem and we just had characters without a page sign on the front or back cover. Wall Displays / Pillowcases / Etc. - I have seen people post about bringing various household items for characters to sign too. While I have never done this personally, it may be something that we do in the future. One example may be a photo mat that would hold one of your family photos from the parks or maybe a wooden letter. I've also seen people hand characters pillowcases or t-shirts to sign too. Perhaps the most creative I've found were the people who brought a frying pan to have Rapunzel sign! While these appear to be great, creative ways to display character signatures when you return, I have always worried about carrying some of these items as they can be a bit awkward in the park. At the end of the day, what you carry in the park is all about what makes you and your family happy! There are so many creative ways to collect character signatures and a quick Pinterest search will show you endless possibilities. What are some of your favorite ways to gather signatures while on vacation in Walt Disney World?